Draft: 2010, Seattle Mariners, CAth rd. Taijuan Emmanuel Walker...Is a 2010 graduate of Yucaipa (Calif.) High School…lettered in baseball and basketball in high school...Signed by John Ramey (Mariners). Had a career-best 3.49 ERA while his .247 opponent average matched his career low (also: 2016)...his 146 strikeouts were the second-most of his career (157 in 2015) as were his 157.1 innings (169.2 in 2015)...In 15 starts vs. NL West (team was 10-5), he went 8-3 with a 2.94 ERA, a .230 opponent average and 86 strikeouts...With runners in scoring position, held opponents to a .199 average with 35 strikeouts, the third-best mark in the NL and tied for fifth in the Majors with Ervin Santana behind Andrew Cashner (.170), Gio Gonzalez (.175), Charlie Morton (.190) and Johnny Cueto (.193). POSTSEASON: Made the start in NLDS Game 1 @ Dodgers (4 ER in 1.0 IP). Went 8-11 with a 4.22 ERA (63 ER in 134.1 IP) in 25 starts for the Mariners...Posted a 2.70 ERA (15 ER in 50.0 IP) in his fi rst 9 starts...On the disabled list from July 6-Aug. 6 with right foot tendinitis...Recorded 2 outings of at least 8.0 scoreless innings with 3 or fewer hits and 10+ strikeouts (June 8 vs. Indians and Sept. 13 @ Angels)…joined Clayton Kershaw and Jaime Garcia as the only pitchers to do so in 2016...Threw his first career shutout on Sept. 13 @ Angels, striking out 11 with 0 walks…retired the first 17 batters before Kaleb Cowart reached on an error with 2 outs in the sixth inning…allowed his first hit to Kole Calhoun leading off the seventh...Was 1-0 with a 3.38 ERA (4 ER in 10.2 IP) in 2 starts with Triple-A Tacoma...Acquired by the D-backs on Nov. 23, with INF Ketel Marte, for INF Jean Segura, OF Mitch Haniger and LHP Zac Curtis...Underwent surgery on his right ankle on Oct. 17 to remove a bone fragment and spurs (performed by Dr. Nicholas Siebert in Seattle). The Totals - Was 11-8 with a 4.56 ERA (86 ER, 169.2 IP) with 157 strikeouts in 29 starts. ... Team Ranks - On the Mariners staff ranked 2nd in wins (11), starts (29), innings (169.2) and strikeouts (157). ... Sit 'Em Down - Struck out 8.33 batters per 9.0 innings, 11th-best in American League…his 157 strikeouts ranked 17th in the American League. ... Strong Finish - Was 10-3 with a 3.62 ERA (51 ER, 126.2 IP) with 118 strikeouts in his final 20 starts…was 1-5 with a 7.33 ERA (35 ER, 43.0 IP) with 39 strikeouts in his first 9 starts. ... Winning Ways - Seattle won 15 of his last 20 starts after going 2-7 in his first 9 starts. ... Double Digits - Became 4th Mariners starter to win 10 games before his age 23 season and first since Felix Hernandez won 14 as a 21-year-old in 2007…others to win 10 games before 23: Felix (12 wins in 2006 at age 20; 14 wins in 2007 at age 21), Dave Fleming (17 wins in 1992 at age 22) and Freddy Garcia (17 wins in 1999 at age 22). ... That'll Do - Shut down for the season to limit his inning count after his start on Sept. 14th. 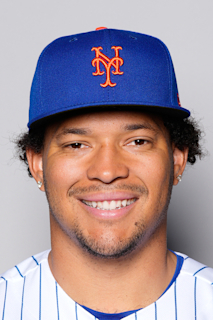 ... New Territory - Pitched 169.2 innings, the most innings in any of his professional seasons…previous career-high (MLB + MiLB) was 156.1 with Seattle (15.0), AAA Tacoma (57.1) and AA Jackson (84.0) in 2013...tossed a combined 120.1 IP in 2014. ... Road Warrior - Was 6-0 with a 2.47 ERA (18 ER, 65.2 IP) with 57 strikeouts in his final 10 road starts…was 1-4 with 9.79 ERA (29 ER, 26.2 IP) with 19 strikeouts in his first 6 starts. ... One-Hitter - Recorded a 1-hitter July 31 at Minnesota (9.0,1,1,1,1,11,HR)…recorded the 12th 1-hitter (11th of the 9-inning variety) and the 15th start allowing 1 or 0 hits in Mariners history…3rd-youngest pitcher to toss a 1-hitter in club history…matched career-best with 11 strikeouts (6/20/15 vs. HOU)…lone hit and run allowed came off solo home run by Sano with 2 outs in 4th inning…only 2 other batters reached: walk to Mauer in 1st and Hunter reached on error in 7th. ... Age Is Nothing But A Number - His 1-hitter came at 22 years, 352 days old, becoming the 3rd-youngest pitcher to toss a 1-hitter in club history: Felix Hernandez-21.003, Gil Meche-21.279…according to the Elias Sports Bureau since 1969, only 4 other pitchers have thrown a CG with no more than 1 hit with 10+ strikeouts before turning 23: Dennis Eckersley (no-hitter) in 1977, Dwight Gooden in 1984, Kerry Wood (20-strikeout game) in 1998, and Shelby Miller in 2013. Went 2-3, 2.61ERA (11 ER, 38.0 IP) in 8 G/5 GS in three stints with the Mariners... Threw ﬁrst career complete game in a 1-0 loss Sept. 24 atToronto (8.0,4,1,1,1,6)... Posted a 2.83 ERA (9 ER, 28.2 IP) with 16 walks and 27 strikeouts in 5 starts... Made 3 relief appearances, posting a 1.93 ERA(2 ER, 9.1 IP)…allowed 1 run in 6.0innings of relief Sept. 1 at Oakland... On the 15-day disabled list March 29 (retro to 3/21)-June 10 with a right shoulder impingement…included rehab starts with A High Desert (0-0, 2.08, 1 GS), AAJackson (1-0, 0.00, 1 GS) and Triple-A Tacoma... Went 6-4, 4.81 ERA (39 ER, 73.0 IP) in 14 starts for Triple-A Tacoma…averaged 9.12 K/9.0 IP (74 K, 73.0 IP)... Allowed 3 hits and struck out 10 in 5.0 scoreless innings for Jackson April 9 in a rehab start... Named the PCL Pitcher of the Week (June 23-29)…postedﬁrst career shutout June 24 vs. Oklahoma City (9.0,4,0,0,1,8)... Prior to the season rated as the No. 6 (MLB.com), No. 8 (Baseball Prospectus) and No. 11 (Baseball America) prospect in baseball... Made 2 starts with the Surprise Saguaros in the Arizona Fall League (0-0, 2.00 ERA, 9.0 IP, 2 R, 2 BB, 11 SO).. Went 1-0 with a 3.60 ERA (6 ER, 15.0 IP) in 3 starts with the Mariners. 5th-youngest starting pitcher to make MLB debut in club history (21 years, 17 days). Made Major League debut Aug. 30 at Houston (5.0,2,1,0,1,2), recording the win…is the youngest Mariners starting pitcher to win MLB debut (21.017). Named Mariners Minor League Starting Pitcher of the Year. Split the minor league season between AA Jackson and AAA Tacoma, combining to go 9-10 with a 2.93 ERA (46 ER, 141.1 IP). Averaged 10.19 strikeouts per 9.0 innings (160 strikeouts) over 25 starts in the minors…T7th among minor league pitchers with 160 strikeouts. Led all Mariners farmhands in strikeouts and finished T2nd in wins. Pitched in the MLB All-Star Futures Game (1.0,0,0,0,1,0) and was selected as a Southern League All-Star this season (did not pitch due to promotion to AAA). Promoted to Tacoma from Jackson and made his Triple-A debut on June 25 vs. Fresno. Named the Pacific Coast League Pitcher of the Week for Aug. 19-25. Was the youngest player in the PCL and 2nd-youngest in Triple-A. Listed by MLB.com as the No. 2 right-handed pitching prospect. Spent entire season with AA Jackson...named a Southern League All-Star and pitchedin the All-Star Futures Game (1.0,0,0,0,0,1)...went 7-10 with a 4.69 ERA (66 ER, 126.2 IP)overall...struck out 118 batters in 126.2 IP (8.38 K/9.0 IP)...made two starts in the playoffsgoing 0-1 with a 0.71 ERA (1 ER, 12.2 IP) with 13 strikeouts...in first 9 starts (April-May)combined to go 4-1, 2.39 ERA (11 ER, 42.1 IP)...pitched most of the season as a 19-year old, one of the youngest players in Double-A...No. 2 Southern League prospect byBaseball America...listed as the Mariners No. 1 prospect by Baseball Prospectus andNo. 2 by Baseball America...enters the season as the No. 2 ranked right-handed pitchingprospect by MLB.com. Named Mariners Pitcher of the Year and Clinton's Most Valuable Pitcher ... limited opponents to a .202 (69x341) average, including a .187 (34x182) vs. right-handed batters ... was 0-2 with a 9.95 ERA over his first 2 starts of the season, but went 6-3 with a 2.39 ERA (24 ER, 90.1 IP) over last 16 starts...logged team-best 16.1-consecutive scoreless innings from May 26-June 12, spanning 4 starts ... recorded 7 quality starts, includingtossing first-career complete game victory July 13 vs. Great Lakes (9.0,2,2,2,1,7,HR) ... struck out a season-high 11 batters three times and finished with 113 strikeouts in 96.2 innings ... allowed no ER in 6 of his 18 starts ... ranked amongst MWL leaders in lowest opponent average (3rd at .202), highest K/9.0 IP ratio for starters (4th at 10.52), fewest baserunners/9.0 IP for starters (5th at 10.33), strikeouts (6th with 113) and WHIP (8th at 1.12) following final start on Aug. 10 vs. Cedar Rapids ... ranked 19th in the Minors averaging 10.42 K/9.0 IP (113 K, 96.2 IP)...named the top Midwest League prospect in 2011 by Baseball America ... participated in the 2011 Mariners Instructional League ... ranked by MLB.com as the No. 18 prospect in baseball and No. 8 right-handed pitcher ... listed by Baseball America as the Mariners No. 2 prospect. Began pro career with Peoria in the Arizona League, appearing in 4 games in relief ... recorded a win if first professional appearance July 10 at Royals (2.0,0,0,0,0,3) ... participated in Mariners Instructional League. February 13, 2019 Arizona Diamondbacks placed RHP Taijuan Walker on the 60-day injured list. recovery from Tommy John surgery. October 30, 2018 Arizona Diamondbacks activated RHP Taijuan Walker from the 60-day disabled list. May 4, 2018 Arizona Diamondbacks transferred RHP Taijuan Walker from the 10-day disabled list to the 60-day disabled list. Tommy John surgery. October 6, 2017 Arizona Diamondbacks activated RHP Taijuan Walker. October 4, 2017 Arizona Diamondbacks reassigned RHP Taijuan Walker to the minor leagues. July 23, 2017 Arizona Diamondbacks activated RHP Taijuan Walker from the paternity list. July 20, 2017 Arizona Diamondbacks placed RHP Taijuan Walker on the paternity list. June 14, 2017 Arizona Diamondbacks activated RHP Taijuan Walker from the 10-day disabled list. May 21, 2017 Arizona Diamondbacks placed RHP Taijuan Walker on the 10-day disabled list retroactive to May 20, 2017. Right index finger blister. August 23, 2016 Seattle Mariners recalled RHP Taijuan Walker from Tacoma Rainiers. August 8, 2016 Seattle Mariners optioned RHP Taijuan Walker to Tacoma Rainiers. August 6, 2016 Taijuan Walker roster status changed by Seattle Mariners. August 1, 2016 Seattle Mariners sent RHP Taijuan Walker on a rehab assignment to Tacoma Rainiers. July 6, 2016 Seattle Mariners placed RHP Taijuan Walker on the 15-day disabled list. Right foot tendinitis. October 19, 2014 Surprise Saguaros reassigned RHP Taijuan Walker to the minor leagues. October 1, 2014 RHP Taijuan Walker assigned to Surprise Saguaros. September 1, 2014 Seattle Mariners recalled RHP Taijuan Walker from Tacoma Rainiers. July 24, 2014 Seattle Mariners optioned RHP Taijuan Walker to Tacoma Rainiers. July 23, 2014 Seattle Mariners recalled Taijuan Walker from Tacoma Rainiers. July 9, 2014 Seattle Mariners optioned RHP Taijuan Walker to Tacoma Rainiers. June 30, 2014 Seattle Mariners recalled Taijuan Walker from Tacoma Rainiers. June 10, 2014 Seattle Mariners optioned RHP Taijuan Walker to Tacoma Rainiers. May 28, 2014 Seattle Mariners sent RHP Taijuan Walker on a rehab assignment to Tacoma Rainiers. April 14, 2014 Seattle Mariners sent RHP Taijuan Walker on a rehab assignment to Tacoma Rainiers. April 9, 2014 Seattle Mariners sent RHP Taijuan Walker on a rehab assignment to Jackson Generals. April 4, 2014 Seattle Mariners sent RHP Taijuan Walker on a rehab assignment to High Desert Mavericks. August 30, 2013 Seattle Mariners selected the contract of RHP Taijuan Walker from Tacoma Rainiers. July 17, 2013 Taijuan Walker roster status changed by Tacoma Rainiers. July 11, 2013 Tacoma Rainiers placed RHP Taijuan Walker on the temporarily inactive list. June 21, 2013 RHP Taijuan Walker assigned to Tacoma Rainiers from Jackson Generals. January 11, 2013 Seattle Mariners invited non-roster RHP Taijuan Walker to spring training. April 4, 2012 Taijuan Walker assigned to Jackson Generals from Clinton LumberKings. January 26, 2012 Seattle Mariners invited non-roster RHP Taijuan Walker to spring training. September 9, 2011 Taijuan Walker roster status changed by Clinton LumberKings. August 13, 2011 Clinton LumberKings placed RHP Taijuan Walker on the temporarily inactive list. May 3, 2011 RHP Taijuan Walker assigned to Clinton LumberKings from AZL Mariners. June 18, 2010 Seattle Mariners signed RHP Taijuan Walker. June 18, 2010 Taijuan Walker assigned to AZL Mariners from Seattle Mariners.